Children's party photography captures the special moments of your well-planned celebration, and puts them into print to cherish forever. When planning a birthday party, you've probably already considered baking the perfect cake, themed decorations, gifts, and just throwing a super fun birthday party. Maybe you've thought of the party photography as well, and considered giving the job to a relative, friend or snapping a few shots yourself. 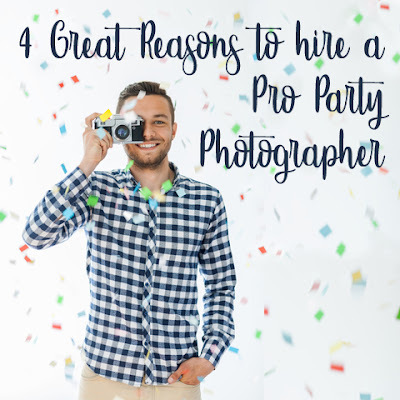 While that will get the job done - or at least you hope it will be good enough - you may want to consider below 4 great reasons to hire a professional photographer for your upcoming children's birthday party. After all, the party is over when the guests leave. But, the pictures will keep those memories of celebration in print forever. And both you and your child will be incredibly happy to look at the pictures long afterward. A good photographer will know how to get excellent angles, adjust the lighting, and capture the best smiles of your guest of honor at every point. Photographers will usually offer quality prints for you, or hi-resolution digital files to print yourself. Consider asking your photographer for both: prints to look at right away, and digital photos you could turn into a memory book on a website such as mixbook.com or shutterfly.com. When you engage the services of a professional party photographer, you can be sure that every fun moment will be captured as well. Essentially, a good photographer will be there for each photo-op moment. Whereas, if you had chosen to take the photography yourself or have a family member or guest help, there just may be some distraction by the fun and conversation. Someone unrelated to the event will be professional about getting those shots! Presence is the best present! Perhaps one of the biggest reasons why you should call a party photographer is so you can consciously celebrate along with your child and your guests. You'll want to be present with your child when they blow out the candles, play the fun games you've prepared, or unbox the gifts. When you hire a professional children's party photographer they will have experience snapping photographs despite all the hullaballoo. Not only will that allow you to be present at the wonderful event you created - you'll get to be in the pictures too! You've created a beautiful birthday party so there's no point in worrying about being stuck behind the camera as well. You can stretch your investment and ask the photographer to capture some studio shots of your birthday child in front of the great decorations you've arranged. Or if you have a photo prop booth set up at your party, then the photographer may also consider taking the photo booth pictures too. Then both you and your children's friends will have great photo keepsakes! Is budget still stopping you from hiring a professional party photographer? If that's the case, you may want to consider posting around local social media groups in search of a novice photographer willing to work for less. You may even find a photography student or newbie who needs to build their portfolio and is willing to work for free. Great photo memories are worth the effort and expense! You are about to make some once-in-a-lifetime moments, so beautiful photography to capture those moments is a worthwhile investment. 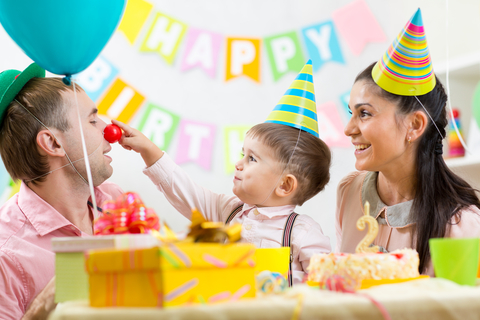 Put it in the party budget and start the search for a children's party photographer in your area. You'll be incredibly glad that you did!